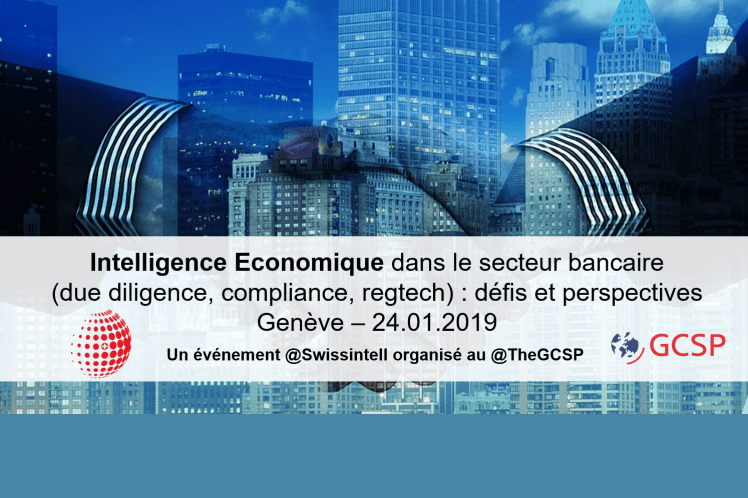 On 24 January 2019, Gagik Sargsyan, Founder and CEO of Polixis, will be a Panelist along with Pierre Besson, Group Senior Advisor in Risk and Compliance, Union Bancaire Privée, at the Geneva Quarterly Event on Competitive Intelligence in the Banking Sector. The event will focus on the Challenges and Perspectives for Compliance, Due Diligence and RegTech. Nowadays, financial intermediaries, in the context of the fight against money laundering (AML) and terrorist financing, are required by law to apply due diligence obligations towards their customers. The panelists will address the question of the existing challenges for the banking sector, as well as touch upon the available solutions for the information professionals’ ecosystem. The event will be held from 18:00 to 21:00 at Geneva Centre for Security Policy (GCSP).